When it comes to a flood water emergency affecting your carpet, Refresh Carpet Restoration is number one in Sydney for commercial and residential carpets. We have the right equipment for big or small wet carpet repair jobs. 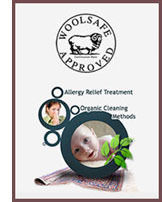 Refresh Carpet Cleaning knows how to detect moisture and extract it as quickly as possible. You can expect first class carpet damage restoration and wet carpet repairs every time with Refresh Wet Carpet Restoration. Our technicians are experts in wet carpet restoration and carpet damage repairs.